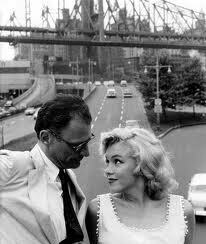 Marilyn always attracted intellectuals. Elvis had his working class fans, the people he called ‘my crowd’. Both were instinctive performers whose popular appeal depended on glamour rather than cerebral analysis. Predictably, their lives ended prematurely. 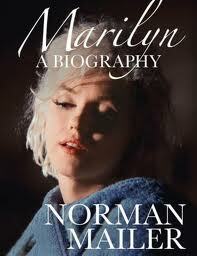 Marilyn has been exalted by Gloria Steinem and others. Lisa Appignanesi is extremely clever and level headed but the tone of her marvellous book on psychiatry and women, ‘Mad, Bad and Sad’, changes tone dramatically when she writes about Monroe. We all know that Elvis and Monroe were flawed, vulnerable at best. But the fans find sympathy for them irresistible. The difference with Monroe is that intellectuals have been willing to share these emotions about her celebrity. True, they often pretend that they are being analytical but not always. They will talk about a special quality that simply touches them. I have mixed feelings about ‘Some Like It Hot’. It is a great movie with sharp lines and great performances. Sometimes the film appears to be perfect. Others, I think the humour against Monroe is offensive. It can depend on mood. ’Bus Stop’ is underrated but it works for me because it is the appropriate fantasy for a vulnerable voluptuous waif that I have always wanted to protect. The man who takes her away from the real world is strong but stupid. Only the idiot cowboy, Don Murray, will be able to provide a life of respect without molesting her unique female innocence. ‘The Misfits’ is different. It is overrated and plodding but it nags. Even its opening scenes, where a stunning Monroe heads for the divorce court, convince us that she is simply too beautiful for any kind of life that makes sense. Howard Hawks had his own view of the world and, although cynical, he could be described as an optimist. His adaptation of ‘Gentlemen Prefer Blondes’ is very different from the book by Anita Loos and nowhere near as witty but he accepts that the dumb blonde can triumph just like the male heroes of his action films. All it requires is a world of stupid rich boys. Hawkes makes sure that there are plenty in ‘Gentlemen Prefer Blondes’. Maybe the film should be dedicated to George Osborne and David Cameron. Now there is a thought. The death of Elvis was like his career. Without adequate support from others he failed to nurture himself and his talent. He lost his grip on his life. Perhaps there was no final self-destructive act but like Marilyn he was impatient for resolution. The drugs escalated out of control and the result was waste, as it was with Marilyn. Both could be stupid and brilliant. Nobody who takes movies or music seriously would argue that either of them can be ignored. 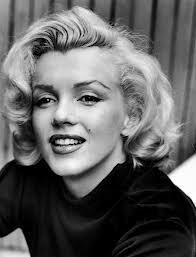 Monroe is memorable in a film which is so brilliant that she could be excused for being anonymous. As the girlfriend of Louis Calhern she steals scenes but more than that she defines perfectly not only the weakness at the heart of her sugar daddy but also what makes him sympathetic. This was a difficult task but Monroe coped so well the world became instantly excited. In the Henry Hathaway movie, ‘Niagara’, her sexiness is overplayed and absurd and she weakens the film. There is one scene where the camera follows her walking away into the distance. The actress, Constance Bennett, said, ‘There is a girl with her whole future behind her.’ Elvis provided the same uncomfortable mix. Only a bigot, though, would ignore the classic records because of the existence of the dross. If you want to read about Howard in Brazil click here. 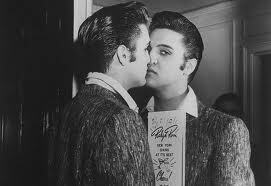 So many similarities between Elvis and Marilyn, both eventually had untimely deaths, I think Joe DiMaggio really loved her and did not exploit her, there was a chance they could have remarried before she died. A very interesting piece which reflects both Elvis and Marilyn as flawed icons. Also interesting were the comparisons drawn on the ‘treatment’ of both in the film and media industries. Howard’s view is that both gender and class differences played a role, but was Elvis shortchanged in the process. Two people trapped in a life and public image there was no escape from.